He did what he always does. And Real Madrid did what they have done so often since this rather magnificent trophy was first awarded in 1956. Cristiano Ronaldo, at 32, is still demanding centre stage. He won an FA Cup final at this stadium in 2004 as a callow youth against Millwall. It was his first ever trophy. On Saturday night he secured his 20th. The opposition was somewhat more glamorous here, the prize more treasured but the performance remained the same. He did what he does, which is to lead from the front and ensure that, if silverware is at stake, he is the man left holding it at the end. The Lionel Messi debate will never be properly resolved but let it simply be said that Ronaldo’s capacity for reinvention is remarkable. The ability to track back and press relentlessly may be diminishing. But put a ball at his feet and his speed is still and movement is bewitching. On Saturday night, it was just too much for Juventus. In fact, the weight of history was too much for the famous old Italian team. This was their seventh defeat at this stage; they have won this trophy just twice. But Real Madrid are the team who appropriated the old European Cup at its outset. Now they are dominating the modern era. This was their 12th trophy of all time. But never before in the modern era of the Champions League has the trophy been defended. It has now. Three wins in four years begins to look like a team of the calibre of Ajax, Bayern, Liverpool, AC Milan. Don’t mention it on Las Ramblas, but they are outstripping a great Barcelona team. 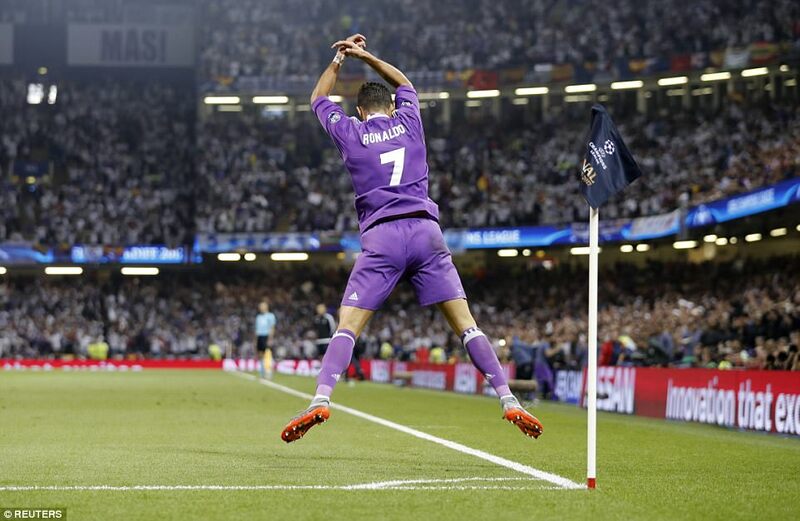 And Ronaldo is stealing the show, not quite yet up there Paco Gente’s six wins, but closing in with four and becoming the first man to score in three finals. And what of Zinedine Zidane? Eighteen months ago he looked a stooge, a teacher’s pet and a project of President Florentino Perez’s vanity. Now he ranks alongside Bob Paisley, Brian Clough and Arrigo Sacchi as a man who has retained this famous old trophy. In 18 months he has achieved in this tournament what Sir Alex Ferguson did in a lifetime and what Jose Mourinho has managed in 17 years. In football terms, his path has been smoothed, but still, what he has done is remarkable. By the time substitute Marco Asenio added Real Madrid’s fourth goal in the 90th minute, the game was well won. It was well won by the time Gareth Bale came on for his cameo role in his home town on 76 minutes. An enthralling first half contest had evolved into a statement of Real Madrid’s dominance. The sourness came only in the manner in which, on 84 minutes, Sergio Ramos contrived to get Juan Cuadrado sent off for an innocuous push. However, it made no difference to the outcome. 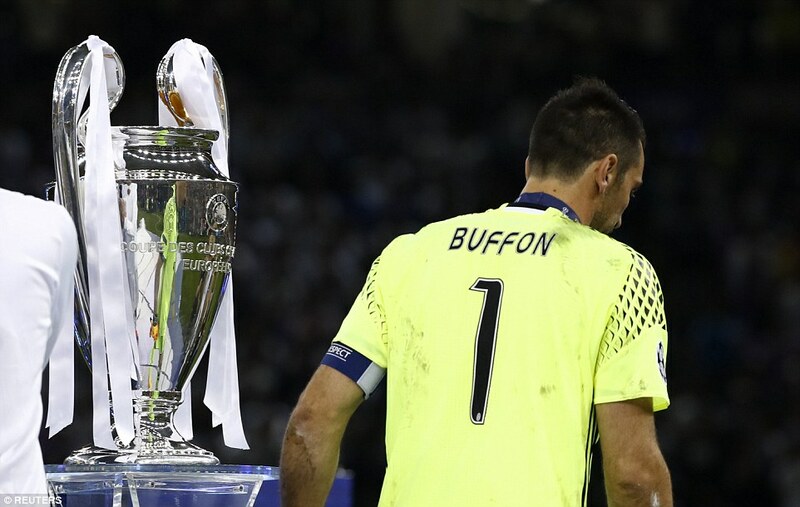 Juventus had really started the better, like a team intent of making this their final. Gonzalo Higuain tested Keylor Navas from long range early on. Miralem Pjanic did even better on seven minutes, forcing an excellent one-handed save from Navas. Dani Alves, playing in an advanced position, had seemingly had put Real Madrid on the back foot. Sami Khedira and Pjanic took control of the midfield. This was a Juventus team which looked at ease with the occasion. 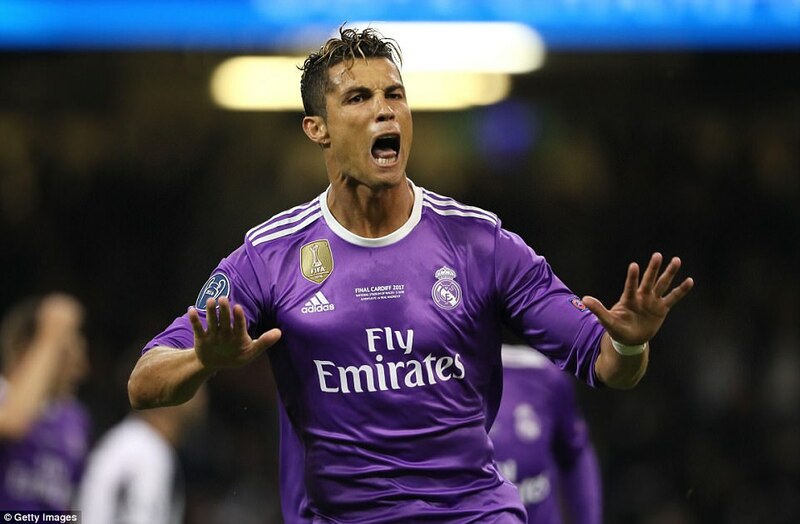 How much more galling must it have then been to have found themselves a goal down after 20 minutes when Real Madrid had offered almost nothing to the game offensively up until that moment. 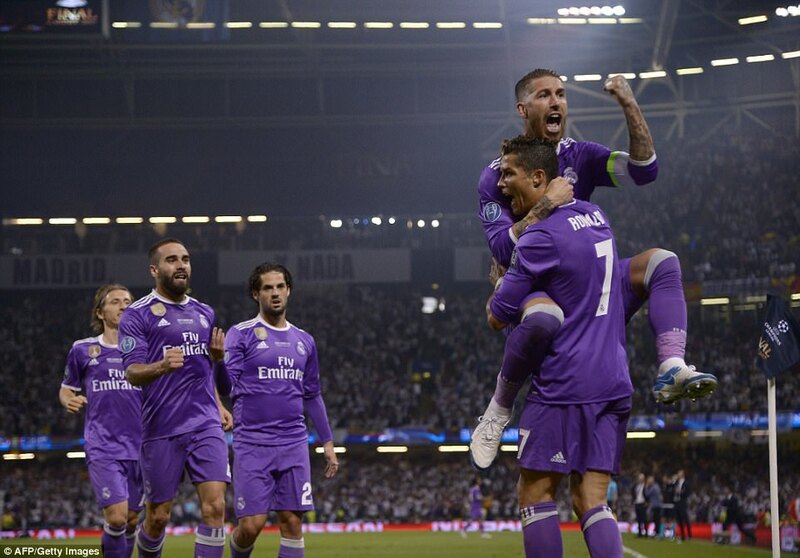 However, what Real Madrid do, they do masterfully, none more so than Ronaldo. From a seemingly innocuous passage of play they quickly conjured something decisive with Toni Kroos, finding Karim Benezema, who held the ball up for Ronaldo. 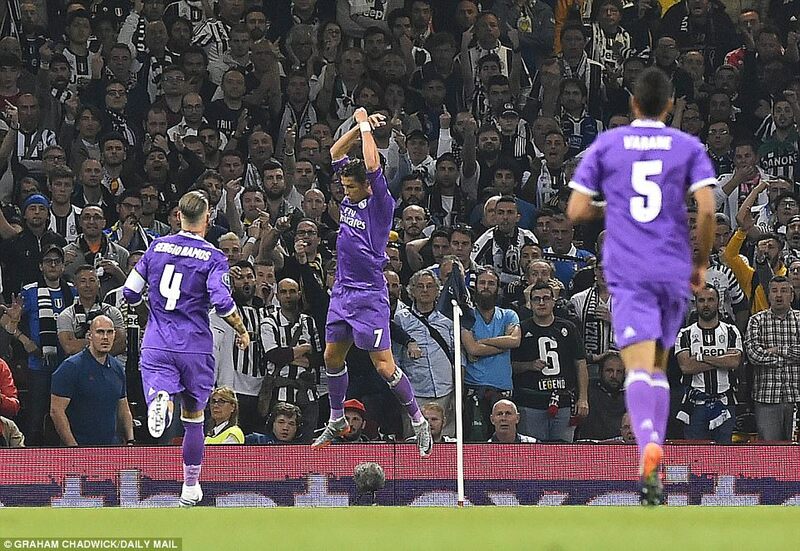 In these situations, Ronaldo springs into life like a predator awakened. He fed Dani Carvajal down the right, while he himself sped off away from his markers, demanding the return pass, which he received. 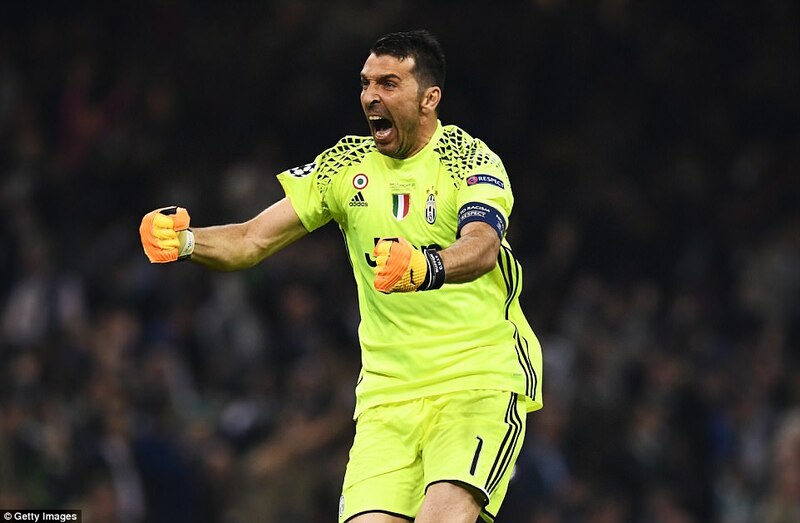 From there he simply swept the ball past Gianluigi Buffon, helped in part from a deflection from Leonardo Bonucci. There had barely been time to adjust, react and reorganise. The movement, the passage of play out from the back, had been so smooth, so rapid, so seamless, that Juve seemed helpless. And Cristiano, previously anonymous, was back where he demands to be: the centre of attention. 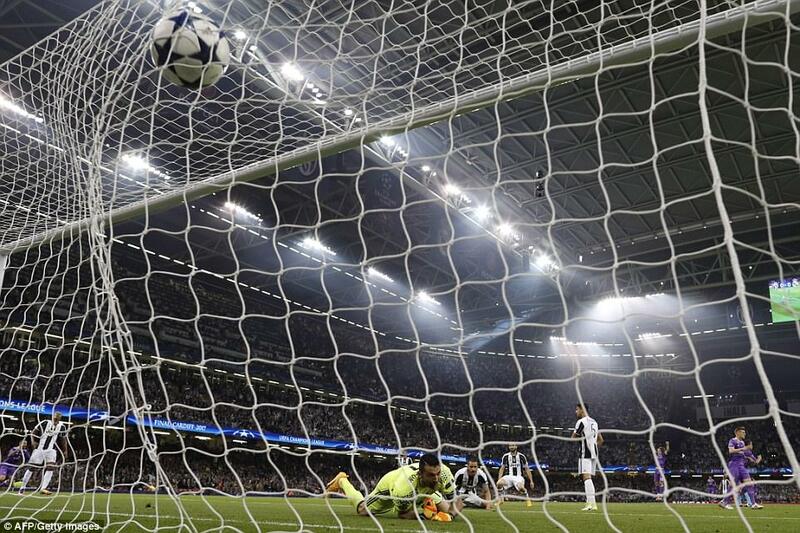 No-one had previously scored in three Champions League final, but he has now. You feared for Juve, that the Madrid machine would now lure them forwards but ultimately entrap them before delivering a fatal blow. Yet this Juventus team are not so brittle. In fact, they summoned their own moment of brilliance to respond. A lovely cross field ball found Alex Sandro, the most-energetic man on the pitch, on the left wing. He pulled the ball across goal first time so that Higuain could touch it back for Mario Mandzukic, who took it on his chest. Again, there seemed little threat. Yet then Mandzukic managed something extraordinary. With his back to goal and falling off-balance, he stretched out a long leg and connected with the ball so cleanly and accurately that Navas barely had time to move as it soared past him. Real Madrid’s coach Zidane once scored a mind-boggling volley in a Champions League final, also on British soil, which will never be forgotten; this wasn’t far removed from that. 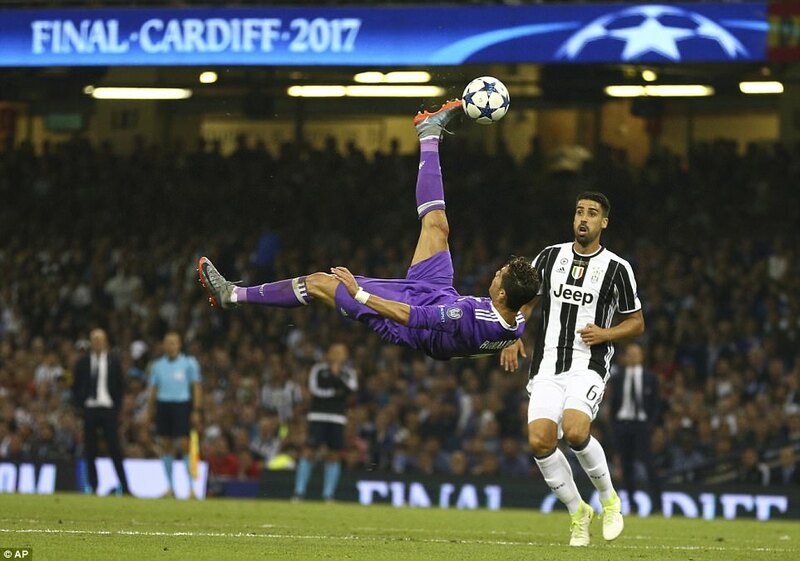 The Champions League final has set a high bar in recent years in terms of the quality of games but this contest was as enthralling as any. From the re-start, Real Madrid reasserted some authority. They advanced into the Juventus half and they became encamped there. It was time for Juventus to demonstrate their fabled defensive strength. And for a while they did. 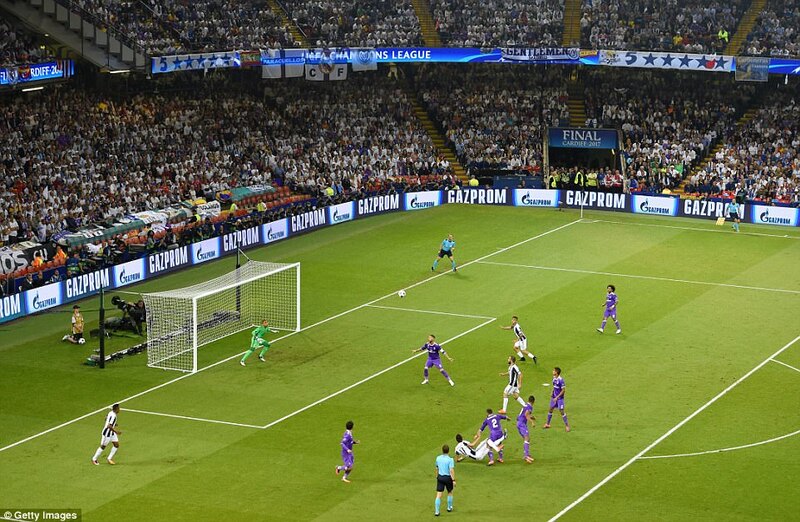 Andrea Barzagli made one superbly-athletic intervention to hook the ball away from Isco, as he sized to shoot. Elsewhere, Giorgo Chiellini and Bonucci marshalled their troops. 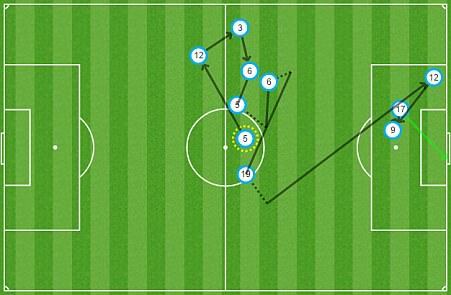 And they restricted Real Madrid to a Luka Modric strike on 55 minutes, which Buffon saved. Then Marcelo dropped a delightful ball into the path of Ronaldo but he was a centimetre short of making contact. Still, Juventus were holding firm. But in a night of exquisite strikes, another was coming. Juventus cleared another attack on 61 minutes but the ball fell for Casemiro. The Brazilian sized it up from 30 yards and struck it well through a forest of players, though a deflection off Khedira ultimately took it beyond the outstretched Buffon. No matter: the joy from his team-mates was none the less for that. At that stage, though, all was not lost for Juventus. You suspected they might find a riposte. And yet there is no containing Ronaldo and no holding back Real Madrid when they have the sniff of the European Cup. Just three minutes after that goal, they seized complete control of the match. While Juve dallied on the ball, still dazed, Modric raced in, seized possession and sprinted down the right, pulling the ball back across goal. And, utterly unsurprisingly, darting between two of the world’s great defenders in Chiellini and Bonucci was Ronaldo. The decisive first-time finish from close range looked simple; yet again, though, the pre-emptive movement and anticipation had been sublime. If the game looked finished, it was because Ronaldo almost always finds a way to rise to the occasion.